We love making people happy! 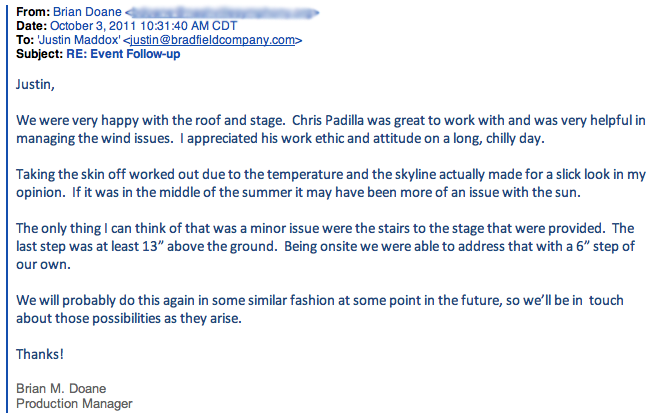 Here at Bradfield Stage Lighting, we consider a happy client the highest praise. 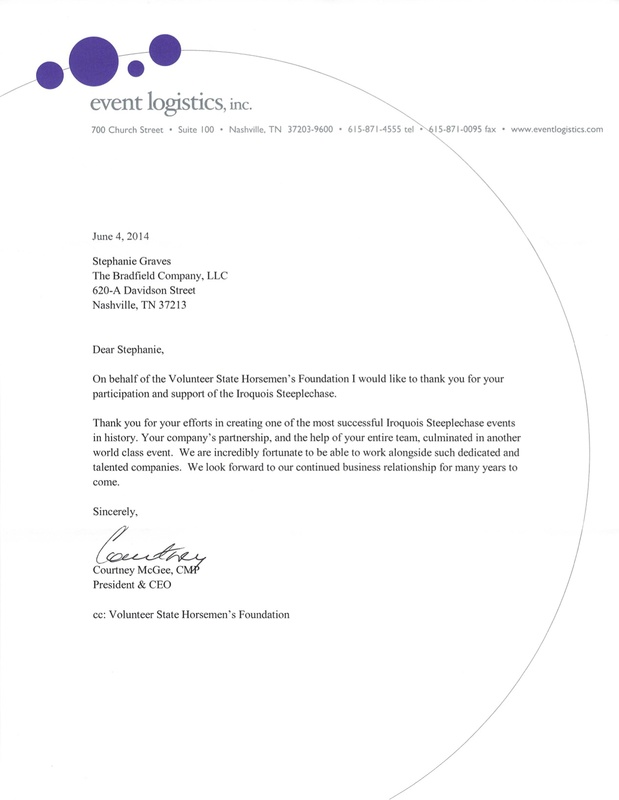 We strive to go above and beyond, so when we hear that we’ve helped create a successful event for our customers we are ecstatic. Here are some of the many compliments we’ve received lately! Posted in Production on October 26, 2011 by bradfieldcompany. 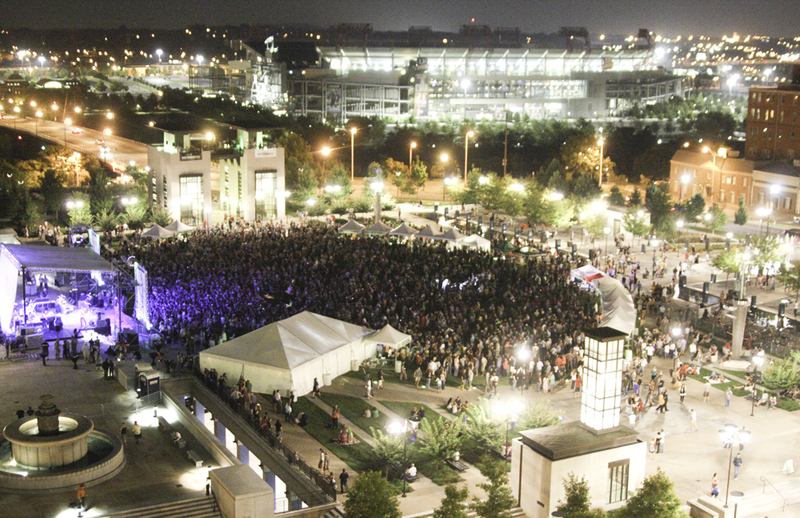 Another amazing Live on the Green series! We were so psyched to once again be a part of the Live on the Green series, the weekly festival sponsored by the Mayor’s office and Lightning 100 held on the Couthouse Green. The challenge for the festival is to be environmentally conscious about every production aspect, and the LED fixtures we use for the stage are a huge improvement over the power consumption of a traditional parcan lighting rig. Live on the Green 2010 from Jon Chema on Vimeo. Posted in Production and tagged LED, live on the green, video on October 19, 2010 by bradfieldcompany. In fact, you might call it a philosophy–that making our clients happy is the most important thing we do. That’s why here at Bradfield Stage Lighting, we really try to go the extra mile, pay extra attention to all the details, and create something stunning for each and every client. So when we receive feedback letting us know that we’ve succeeded, it really makes our day! 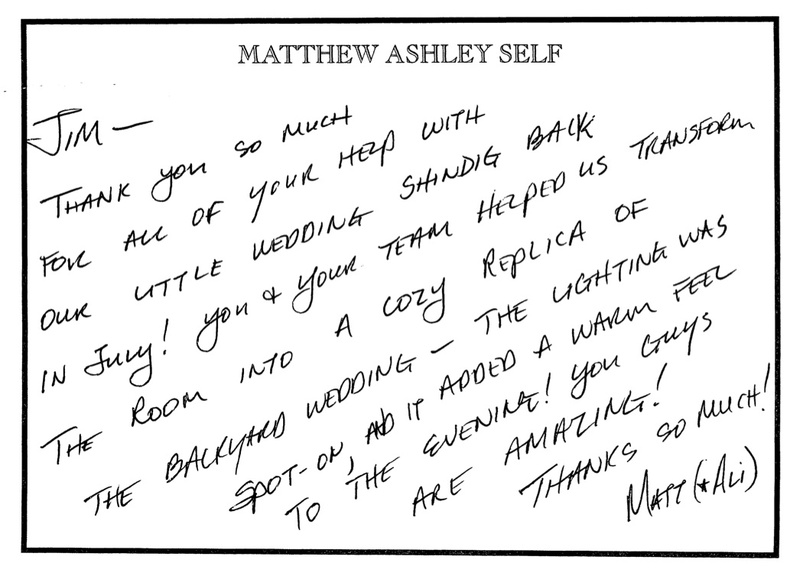 Here are a couple of lovely notes we’ve gotten recently that made us so happy in return that we just had to share! And this wonderful note followed a wedding at Otter Creek Church of Christ that turned a church gym into a wooded grove! And many thanks in return to both Jody and Teresa for trusting us to be a part of such an important day–it’s not something we take lightly! Posted in Production and tagged testimonial on August 10, 2010 by bradfieldcompany.